Please help clarify for me. You raise an excellent point. The reason they do this is because they have no other choice. After committing a mortal sin, the lord shows up like a thief in the night and confronts the person, offering his salvation from the bottom of hell, where the person just knows within themselves that they're destined to go (the pit of fire). The insecure person who is in a state of damnation, walking on eggshells and running scared in life is very motivated and sometimes happy to even be offered the deal of “working for the devil” in exchange for the Baphomet's promise to escape the tortures in the lake of fire. We get a glimpse of this process from low-level like Snoop Dogg, who explain how this process occurs in videos like the one below on the left. In a normal business deal there is usually a mutual arrangement between two parties to exchange services for something the other party needs. In this scenario, Snoop Dogg is promised his soul will be saved from the pit of fire in exchange for promoting heresy and crap via his high-profile career to aid the devil in getting what he wants, which is obviously more souls. In the video on the bottom right, we see Snoop Dogg has changed his name to Snoop Lion, and is now promoting his god. But which god is it? The God of Heaven? or some pagan god of Hell? The answer should seem obvious. At 1:50 in the video on the left, and I apologize for having you watch this crap, Snoop explains the deal he made with the devil, who morphs into a Jewish Jesus in the segment. Then in the video on the left, Snoop has a religious awakening with some 'high priest' in Jamaica. Sorry to bring it to this level, but it's relevant to the deal they make and how they come after your kids and grandparents with their deception. Again, we see this same scenario play out in the life of Bob Dylan. How did this man with mediocre musical talent, who wears ragged clothes intentionally, manage to become so rich and famous? Is he the only man in America with a guitar and some old faded jeans? I've seen lots of guys like this on the CTA platforms who are more talented and more relevant, and none of them are on CBS getting interviewed by 60 minutes. So why was Bob Dylan chosen by the Illuminati record industry? Again, we get the same answer in the video on the bottom left. Dylan admits he made a deal with “the great commander of this world and the next.” So what is he obligated to do in exchange for the life the “great commander” has given him? We get the answer in the video, below on the right. He has to sing about “the lord” and his “salvation.” Since you're well aware of the information on the Fatima Movement, you know perfectly well that “the lord” he is singing to is Satan. Many people follow Bob Dylan and consider him a god. They sing along to his words which are constantly pumped out on the radio, rendering him as a sort of high-priest for his great commander, the devil. The constant air-play by radio stations that are 100% controlled by Jewish-Freemasonry use people like Bob Dylan as sort of a rock god or high-priest to promote the acceptance of the Jewish-Masonic lord as he leads pseudo religious services to “the lord” with songs like this below on the right (which actually weren't that good- he later had the help of the Beatles to help him with his melody arrangements). Repeat a lie often enough and it becomes the truth in most people's minds. Another type of scenario is someone who is hell-bent on success in this world and needs help from the Jewish beast system to “make their dreams a reality.” This would define people like “Christian” gospel singer Katie Perry (another Masonic Disney prodigy), who readily admits what she did, like she does in this interview on the left and admits in the song on the right that “she did not read the stars so well...I wish I knew then, what I knew now, wouldn't dive in, wouldn't bow down” because now that she got what she wanted, she's stuck. Her story is over now. She traded her eternity for the opportunity to sing crap, and Jewish media lords were obligated to open all the Hollywood doors for her, providing the funding for her “dream,” turning the machine on to promote her and using her to further corrupt society. It seems to be a mutually beneficial relationship between the Jewish lords of Hollywood and a damned Protestant who desires these temporary gifts of this life (fame & fortune). The same game is played by Presidents, as well as most in public office (who are only puppets for Jewish bankers who really run the show). 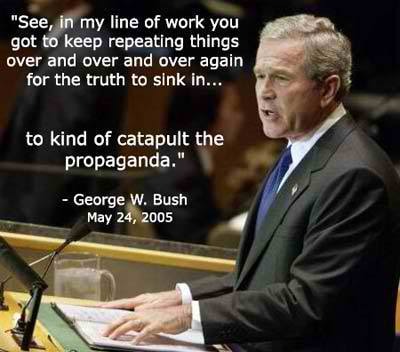 Below is George Bush 43, a “conservative Christian” leader and biblical lord promoter. In fact when asked in a debate with Al Gore who his favorite philosopher was, Bush answered “Christ.” Most Protestant Americans will eat those words up and assume he is “on their side” because he is speaks about Christ (and how can that be wrong?). But Bush knows damn well how to use words to keep the meek in line, following him into the New World Order, because he knows that Catholics haven't taken their religion seriously and preserved the Rites, the Traditional Mass, the Rosary, etc. and combined with the media machine and the blinding Sacramental curse that consumes not only Novus Ordo Sect “catholics” but also all the Protestant lord-worshipping spin-off religions, this 'beast' creates this strange New Order reality of meek, marked human beings that never provide any resistance to the New World Order (Hell on Earth). This lack of resistance normalizes the biblical lord as god (Satan) which allows the wars, the banker control, and all these assholes to run the world, unchallenged. The same game is being played by Romney and Obama as I write this. Romney believes that the bible is the “word of God.” Obama quotes the bible when he has to, but portrays himself as a quasi-Muslim who worships Allah. In reality, Allah and the lord of the bible are the same pagan moon god, so it doesn't really matter. Neither are Catholic, and both are working to take you to Hell. So when exposing this Jewish game of controlling the world and taking everyone to Hell with them in this hierarchy of lords, something called “the Great Work” by the anti-Catholic Kabbalistic occult, it becomes very clear to us what is actually going on here. This game of heresy promoted by initiated heretics has very consistent rules of engagement for those initiates who are educated about the game, unlike lower level initiates just involved for the business connections, the fame and fortune, etc. Among the elites in this organization, the rules spiritual war are consistent. From the time of the Jewish King David to today where the presidents gather at “Camp David,” not much seems to have changed. Among the lower levels though, it doesn't look too promising. 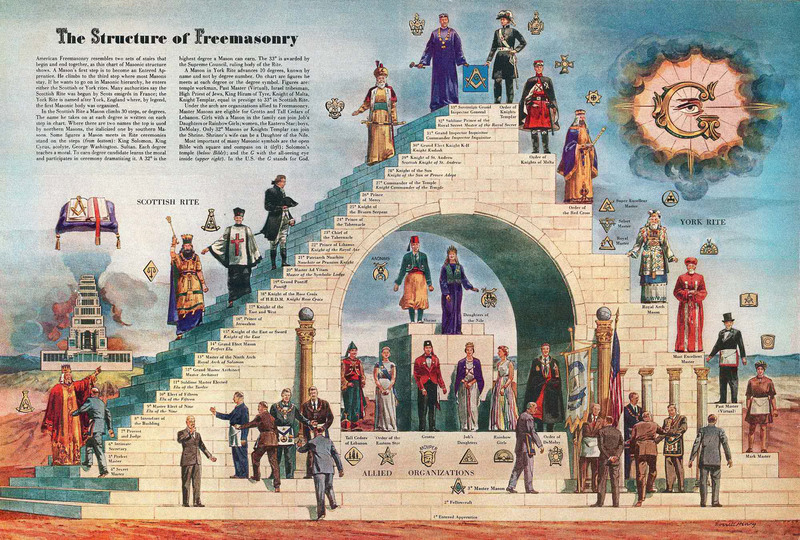 Freemasons aim to climb something called Jacob's Ladder, a type of staircase, which allows them to rise up and “swim” out of the lake of fire (the Red Sea) at the bottom of Hell, and into the upper chambers (the more tolerable parts). The more souls they are responsible for deceiving into Lord worship, the higher they go. The game has been going on for thousands of years. Only the names of the initates will change as the old ones die off and the newer, younger ones take their place and rise up the chain of command. One can imagine how high you can go as a Masonic Priest, Cardinal or even and anti-Pope, where the most sheep are just waiting to be slaughtered by these spiritual gangsters. 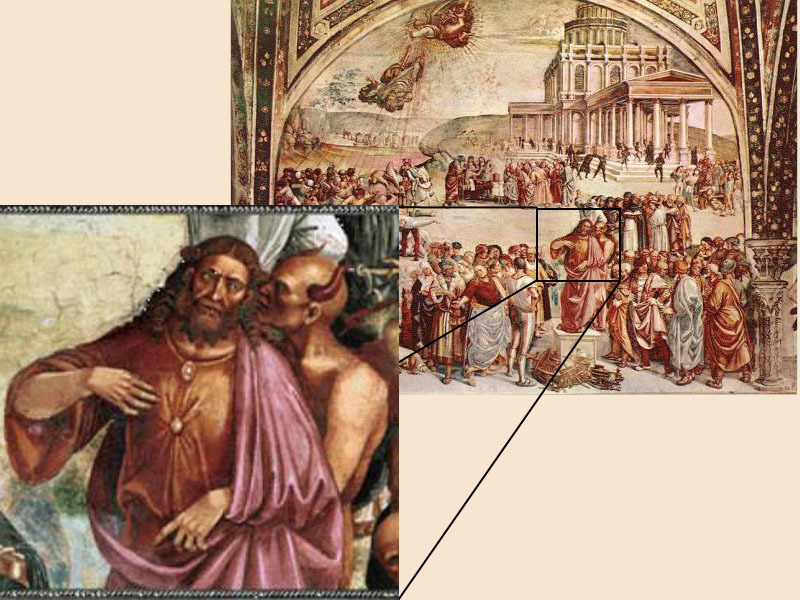 This ancient battle between Catholics and Masons was almost over in 2009, which is why the world was on the fast track to economic collapse which was supposed to lead to World War III and the eventual Jewish Messiah to come 'save' everyone. The only thing that stopped this process was what Our Lady gave us - a 150 Rosary and a certain efficacy that it has, related to the Fatima Message, to help us fight back. So that's where we're at right now. So where is Hell, is there a structure to it, and what are the rules? And how do Catholics fight it? 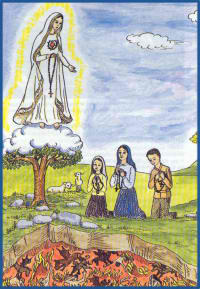 In 1917, Our Lady in Fatima opened up the Earth and showed Hell to the Lúcia, Francisco and Jacinta as part of the Fatima Miracles, to prove its existence. This changed the kids of Fatima forever. Sheen (not the Bishop, his “son”) replicates the characteristics of one of the demons in Hell, as described by Sister Lúcia of Fatima in the 1978 film “Apocalypse Now.” You fight it by saving souls from Hell. This is what hurts the Illuminati the most. Sister Lúcia: “She opened Her hands once more, as She had done the two previous months. The rays [of light] appeared to penetrate the earth, and we saw, as it were, a vast sea of fire. Plunged in this fire, we saw the demons and the souls [of the damned]. 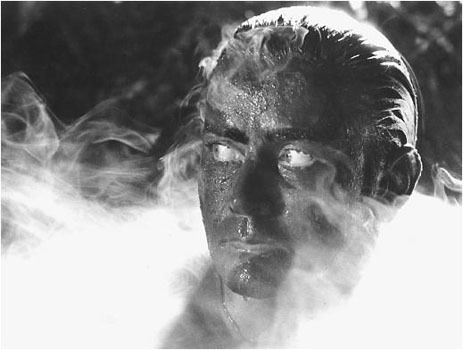 The latter were like transparent burning embers, all blackened or burnished bronze, having human forms. They were floating about in that conflagration, now raised into the air by the flames which issued from within themselves, together with great clouds of smoke. Now they fell back on every side like sparks in huge fires, without weight or equilibrium, amid shrieks and groans of pain and despair, which horrified us and made us tremble with fright (it must have been this sight which caused me to cry out, as people say they heard me). The demons were distinguished [from the souls of the damned] by their terrifying and repellent likeness to frightful and unknown animals, black and transparent like burning coals. That vision only lasted for a moment, thanks to our good Heavenly Mother, Who at the first apparition had promised to take us to Heaven. Without that, I think that we would have died of terror and fear." Then in 1960, around the time of the Cold War with Russia, the suppression of the Third Secret of Fatima by Anti-Pope and Freemason John XXIII, and the rejection of the warning from Our Lady about the about the errors of Russia spreading throughout the world, a group of Russian miners recorded these sounds from Hell as they dropped a microphone into a mine shaft they had dug in Siberia, some 10-14 kilometers beneath the Earth's surface, which recorded these sounds of screaming, yelling and torture. So from all of this, we learn that there is strong evidence for the existence of Hell, and there is a master/slave relationship amongst the world's elites to lure others to do their work for them (Jewish record producers luring young stars). So are these lower degree initiates being duped? It's seems very likely. 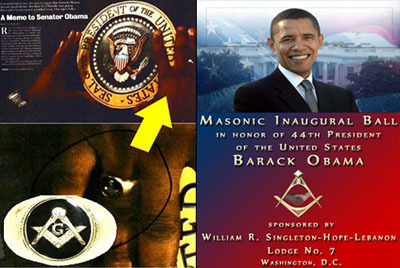 Once you understand that the bible was written to aid the deception of creating a Godless, secular world that worships Satan (which is just the Jewish Illuminati lords of the top of Hell), and you understand that the book of its Apocalypse is the completion of this “Great Work,” the conclusion of the Masonic objective to create a New World Order under Big Brother (the heretical lord/Allah), some winners emerge. But some losers emerge as well: 200,000,000 scorpion-tailed Freemasons that have been used and discarded. Your question about the Freemasons trusting the devil, the ultimate liar, is extremely relevant when you read the Protocols of the Learned Elders of Zion. 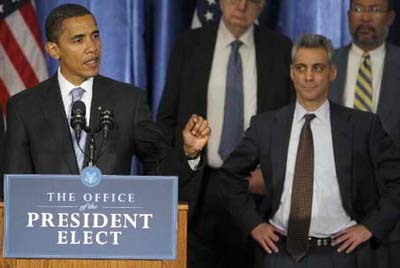 Like this picture of Rahm Emmanuel (a true Jew and now Mayor of Chicago) guiding his Masonic servant Barrack Obama, promising him the rain will stop when he begins talking (among other things), we learn that the 12 Jewish Tribes (the “Learned Elders”) are simply using Freemasons for their own objectives. Here are the quotes from the Protocols of the Learned Elders of Zion, which can be read in its entirety here on FatimaMovement.com. 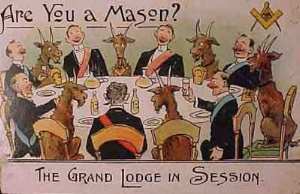 Freemasons may want to reconsider their membership in the Lodge after reading this. 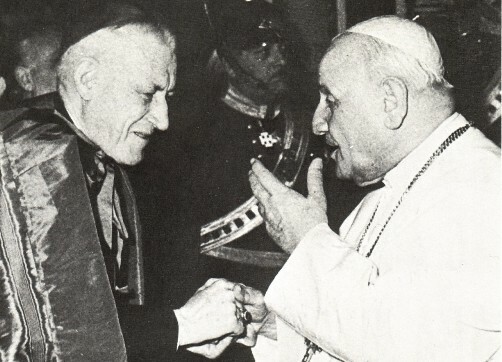 Whether they can be saved from Hell by praying the 150 Rosary and receiving the Sacrament of Catholic baptism before their death is unclear, but they need to revolt against their Masters who are hiding this knowledge from them. Protocol 9:2: “...we have already wiped out every kind of rule except our own, although DE JURE there still remain a good many of them. Nowadays, if any States raise a protest against us it is only PRO FORMA at our discretion and by our direction, for THEIR ANTI-SEMITISM IS INDISPENSABLE TO US FOR THE MANAGEMENT OF OUR LESSER BRETHREN. I will not enter into further explanations, for this matter has formed the subject of repeated discussions amongst us. So we learn that when the 144,000 Elders of Zion come into their “kingdom” after they “kill God,” they plan on throwing their lesser brethren under the proverbial bus. This is consistent with the character of the Illuminati who do not like to invite the lower-degreed goy masons to their Bilderberg meetings, etc. Perhaps this is why the demons in Hell (forming living lower-degree Freemasons) are so angry in Hell, taking their anger out on their slaves (the anathematized). Protocol 15:9: Death is the inevitable end for all. It is better to bring that end nearer to those who hinder our affairs than to ourselves, to the founders of this affair. WE EXECUTE MASONS IN SUCH WISE THAT NONE SAVE THE BROTHERHOOD CAN EVER HAVE A SUSPICION OF IT, NOT EVEN THE VICTIMS THEMSELVES OF OUR DEATH SENTENCE, THEY ALL DIE WHEN REQUIRED AS IF FROM A NORMAL KIND OF ILLNESS ..... Knowing this, even the brotherhood in its turn dare not protest. By such methods we have plucked out of the midst of MASONRY the very root of protest against our disposition. While preaching liberalism to the GOY we at the same time keep our own people and our agents in a state of unquestioning submission. 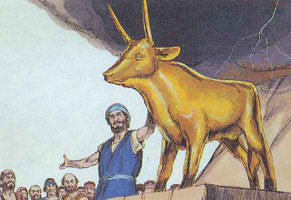 Protocol 24:1: I pass now to the method of confirming the dynastic roots of King David to the last strata of the earth. Protocol 24:15: The prop of humanity in the person of the supreme lord of all the world of the holy seed of David must sacrifice to his people all personal inclinations. Protocol 24:16: Our supreme lord must be of an exemplary irreproachability. Freemasons rely on what they call “spirit guides” to guide them in their Lodges. This 90th Degree Freemason Bill Schnoebelen explains the process in this interview below. 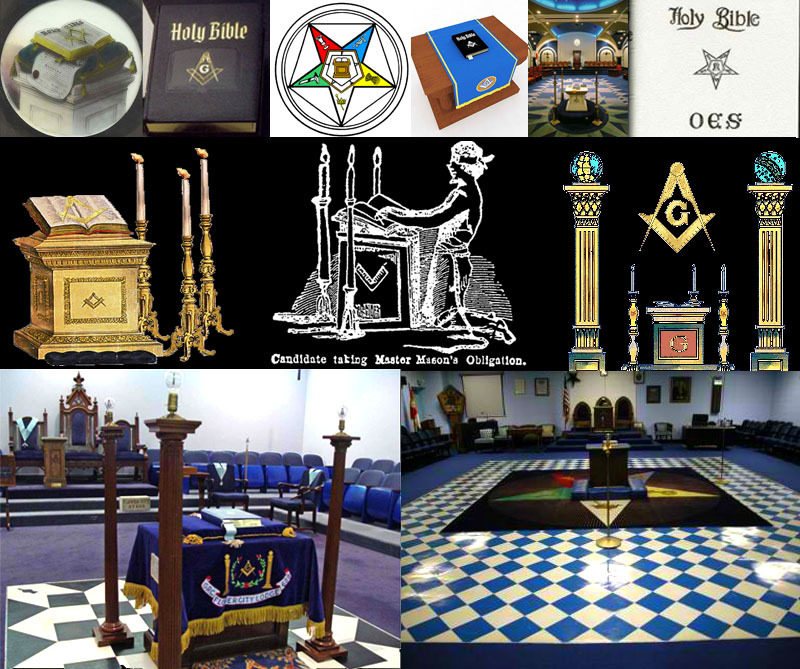 It is important to note that Freemasons wear blindfolds when they are initiated in their lower degree ceremonies, in which they among other things like crush a human skull representing a Catholic Pope (19th Degree) and bow down to the Jewish scriptures on their Masonic altars. It's unclear if they actually know at this point that the lord of their bible is Satan. It doesn't really matter to us because they're all going to Hell anyway, but it is interesting that Bill Schnoebelen makes a point to tell us that he knows the game better than the other initiates because he took the time to go to the Masonic Lodge library and research things on his own. Some of the books he was probably reading such as Albert Pike's Morals and Dogma are scanned for you on this site to help you get to this level of knowledge. I'm thinking to myself, “what is this strange man talking to spirits for?” But that's what they seem to do, and yes, I believe they are being deceived for the goals of the Learned Elders, the 144,000. The devil really doesn't need these “morons,” he is just using them in exchange for the lifestyles they sold their soul for, and plans to throw them to the wolves when the day comes. 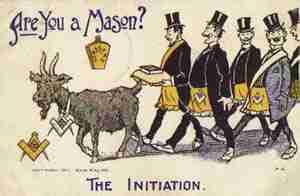 So your question about how the devil or these spirits who guide the lower initiates into Freemasonry can actually be trusted is a good one. But part of being Catholic is that we're not able to see the other side like they can. But if I were a Freemason, I'd wonder how I could fit “on the hill” when there's only going to be room for 144,000, and I'd be getting out of there and praying the Rosary as fast as I could after reading the Protocols. The structural hierarchy of hidden knowledge exists in Freemasonry for a reason. The devil and his inner circle are using lower-level initiates against themselves, for their own purposes. They can't win the world on their own, they need the help of goyim masons to help get the job done. But don't worry too much about them, in the end this brotherhood of morons will fall into the pit of hell and the “founders of the affair - Protocol 15:9” will remind them of that when they reveal themselves in Zion. Freemasons are just being set up by the Illuminati as their scapegoat, which is why you're seeing so much information being released on the internet in the last few years. It's a bloodline thing belonging only to the 12 Tribes of Israel, and no matter how they try, Freemasons are not part of that bloodline. I personally think they are hoping the spirits keep their promises, but I think they know that they're going down. They are just useful idiots for more intelligent beings. If you were Lucifer and the 144,000 “chosen ones,” would you want losers like this around you for an eternity? Or would you just use them and throw them into the fire? Just make sure you're initiated into the Catholic Church with the powerful and original Baptism Rite, wear Our Lady's Scapular, and pray the Rosary 150 each and every day. The secret is out and just in time, right before the end of the Masonic Mayan Calendar. It's the bottom of the Ninth Inning, and it seems that the Jewish “Holy Cow” and their Jewish Jesus anti-Christ messiah is on rain delay.